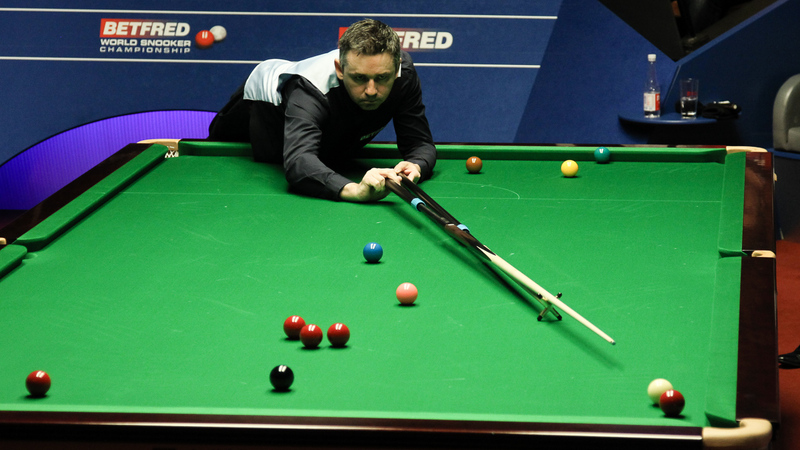 Alan McManus became the oldest Crucible quarter-finalist for six years by coming from 9-7 down to beat Ali Carter 13-11 at the Betfred World Championship. At 45, McManus is the oldest player through to the last eight of snooker’s biggest event since Steve Davis got to the quarters at the age of 52 in 2010. Prior to that, the last quarter-finalist over 45 was Ray Reardon in 1985. Glasgow’s McManus was in his prime in the 1990s but has enjoyed a resurgence in recent years, climbing to 29th in the world. This is his fourth consecutive appearance at the Crucible and his second run to the quarter-finals within three years. He faces John Higgins or Ricky Walden next, hoping to reach the semis for the first time since 1993. 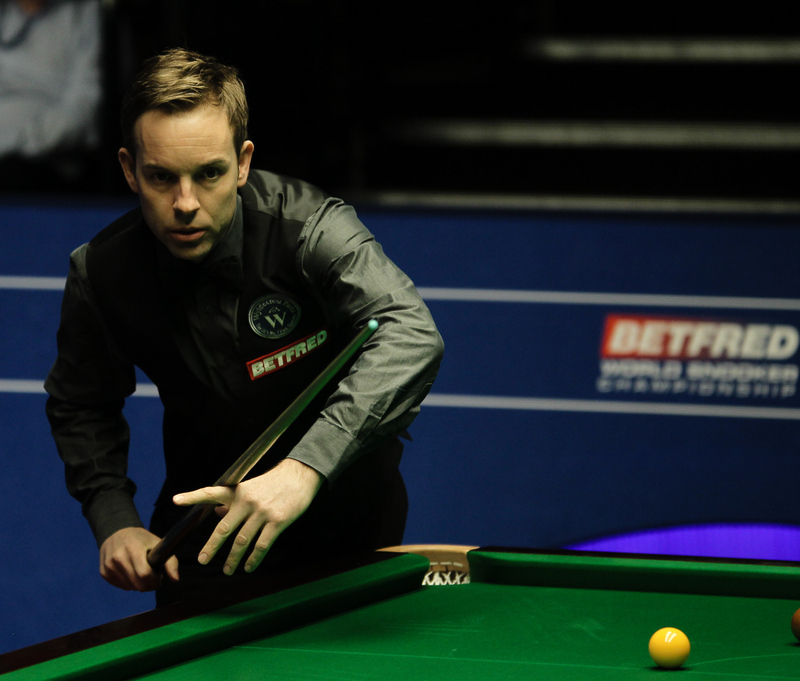 Carter, runner up here in 2008 and 2012, scored an impressive 10-9 win over defending champion Stuart Bingham in the first round, but couldn’t produce his best today in the concluding session. McManus trailed 9-7 overnight and won the first frame today on the final black with a thumping long pot to a top corner. He then made a break of 119 to level at 9-9 and took the next as well to go ahead for the first time in the match. Carter had a chance to win frame 20 but ran out of position on 61 with two reds left, and McManus cleared to go 11-9 up at the interval. A run of 71 gave Carter the 21st and had chances in the next but crucially missed the final red along a side cushion. It came down to the colours and McManus fluked a snooker on the brown then potted it from the chance that followed to make it 12-10. A quickfire 100 kept Carter’s hopes alive, but McManus dominated a scrappy 24th frame, taking it 55-18 to secure victory. “Winning the first frame today on the black was pretty big, if I had lost that I would probably not be sitting in the next round right now,” said McManus. “After that I started relaxing into it. My plan was to try to get to 10-10 at the interval so to be 11-9 was a massive bonus. “I still practise a lot and I work hard at my game. Sometimes when I’m out there, I’m looking around and thinking I might never be here again. It’s a special place to be, it really is. To be in the quarters with another match to play, I can’t wait. Carter said: “It was a disgusting performance. Alan dictated the whole match. I was just powerless to do anything about it, I kept trying to kick into gear but I never really found it. It didn’t happen for me today. It wasn’t through a lack of trying, I tried my hardest. Meanwhile, Mark Selby went 9-7 up on Sam Baird in their second round clash. Baird won the first frame of today’s session with breaks of 66 and 54 to go 5-4 up. World number one Selby replied with a 115 and also took the next to go 6-5 ahead, before Baird levelled at the interval. Selby opened up daylight for the first time by taking three in a row with top runs of 133 and 66. But Baird won the last of the session to keep his hopes alive going into the final session, which starts at 7pm.